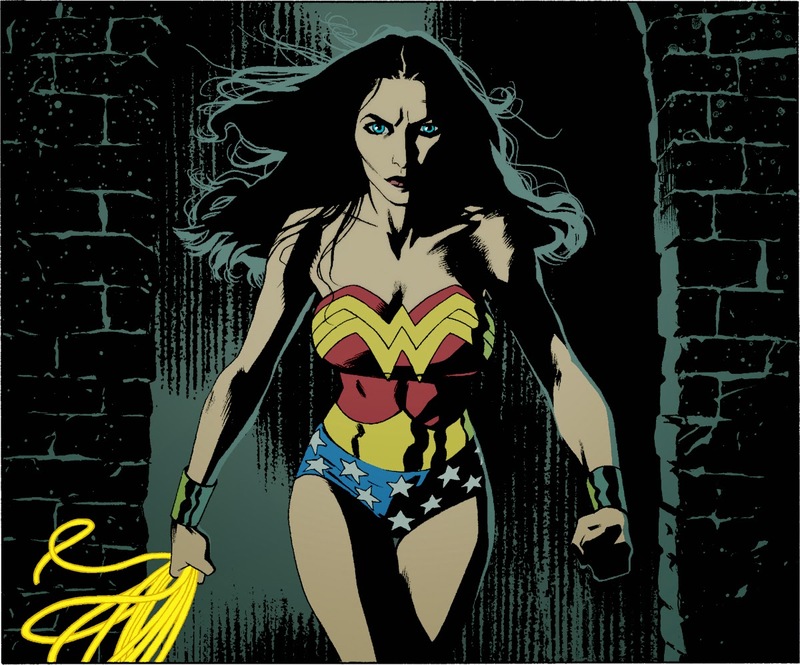 It was announced today that I am drawing (and inking and coloring) two issues of Wonder Woman for DC. The issues will be on the shelves in April and May, and I will talk a bit more about it a little further down the road. For now, here is the image DC released for the promo. As it has been misreported elsewhere on the internet (shocking! ), I should point out that this is not a cover. It is in fact a single panel from a 5-panel page that appears in the first issue, and will probably be about three or four inches tall when it sees print, which is how it is meant to be seen. I'm generally not a fan of taking panels out of context, especially when they are blown up larger than I actually drew them, but I suppose it might be better than spoiling a whole page, so there you have it. And yes, I know that she is not wearing her tiara. To unravel that troubling mystery, one must buy the book.